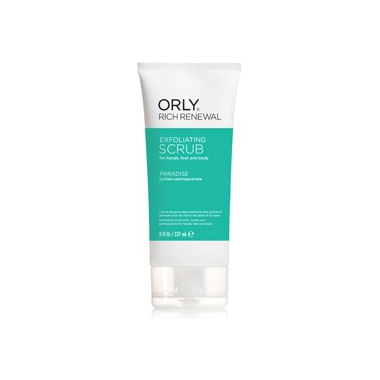 Orly Rich Renewal Exfoliating Scrub loosens and lifts dead skin cells while exfoliating skin with natural sugar cane crystals. Formulated with Shea butter and antioxidant rich vitamin E to help protect, condition and moisturize. Leaves skin soft and glowing.